Maplim is the easiest way to collaborate on a map. Goal is to simplify collaboration and enable organization data on the map using any device. Open maplim.giscloud.com and log in with your GIS Cloud credentials. Rename project by clicking on the icon next to the Project title. You can manage your projects by clicking on the icon in the header. 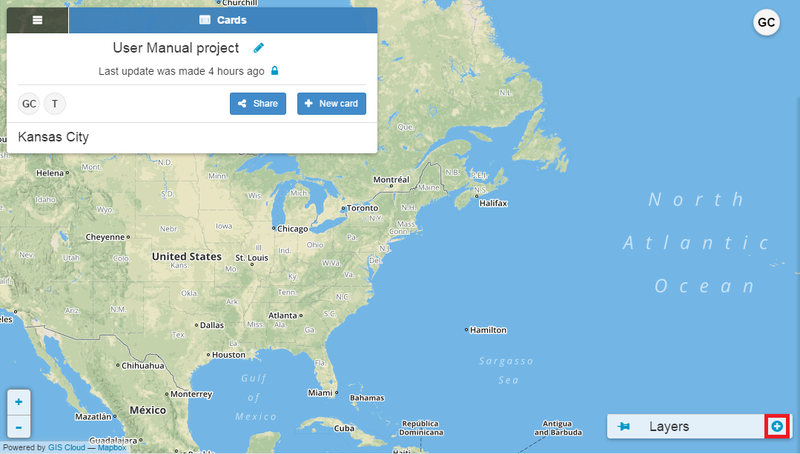 You can add as many cards ad you want to your project. To add new card click on the New card button. Add detailed description, write comments and communicate your colleague in real time, draw on the map, attach files and hyperlinks. You can review all activity on the Activity board, open attached files and view drawings. You can share your project, set different permission for each user and collaborate with your colleagues in real time. 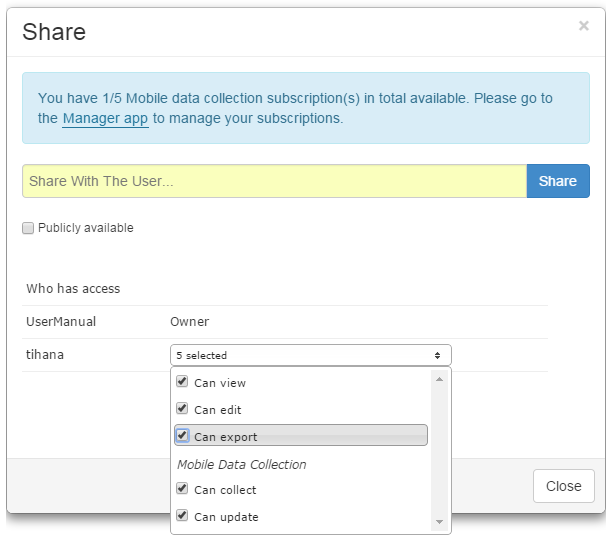 Enter GIS Cloud username and click Share button. Set Sharing Permissions for user. Can view – will provide the person you have shared your project with only viewing privileges, without possibility to edit or export it. Can edit – will provide the person you have shared your project with complete editing privileges. 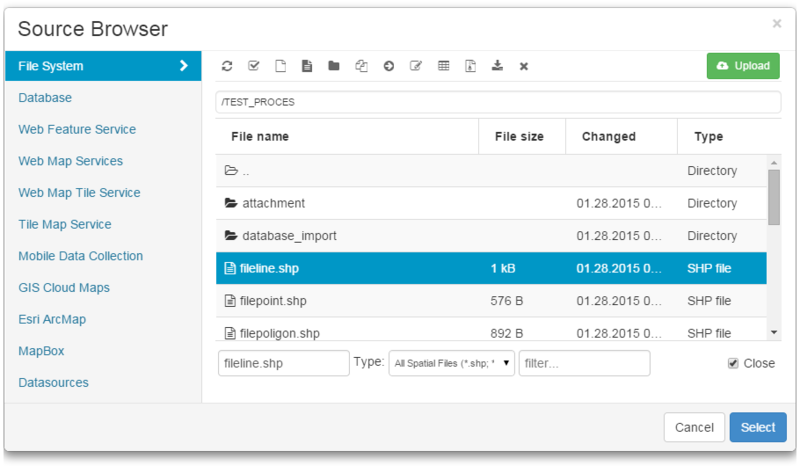 Can export – will allow the person to export project you have shared with him. Can collect – will allow the person in the field to send new data to a project, but without possibility to make changes to existing data or the one that he already sent. Can update – will allow the person in the field to make attribute and geometry changes for features in a specific layer, but without the possibility to send new data. 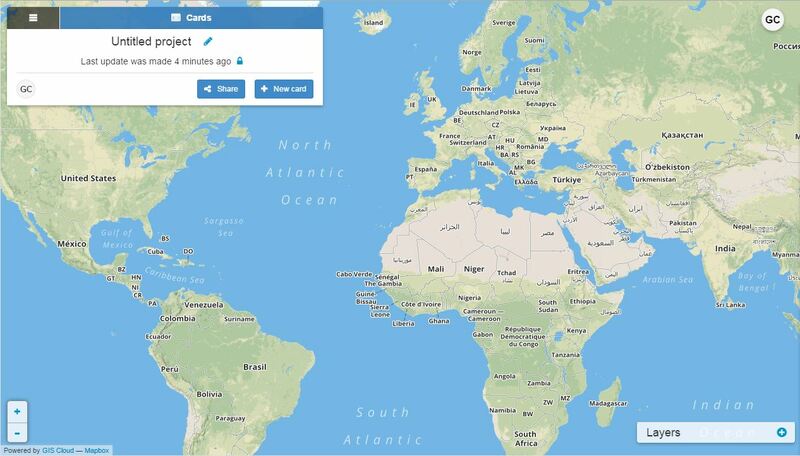 Publicly available – makes the project publicly available for all GIS Cloud users. You can add layers to your Maplim project from your GIS Cloud Source Browser. Click on the “plus” icon. Browse a layer and click Select button.